Looking for a kid-friendly activity that’s educational, fun and FREE? It’s all here at the Hallmark Visitors Center! We welcome children of any age. Our Artifact Search is a great scavenger hunt for kids and grown-ups, alike. Have fun looking for each object. What are your favorites and what did you learn? Admission is free. Reservations are required for groups of 15 or more. Please complete our online form to reserve your group visit. If you’ve scheduled a visit at Kaleidoscope, Hallmark’s hands-on art experience for children, the Hallmark Visitors Center is located right next door. After the kids create their masterpieces at Kaleidoscope, come see how we create ours. 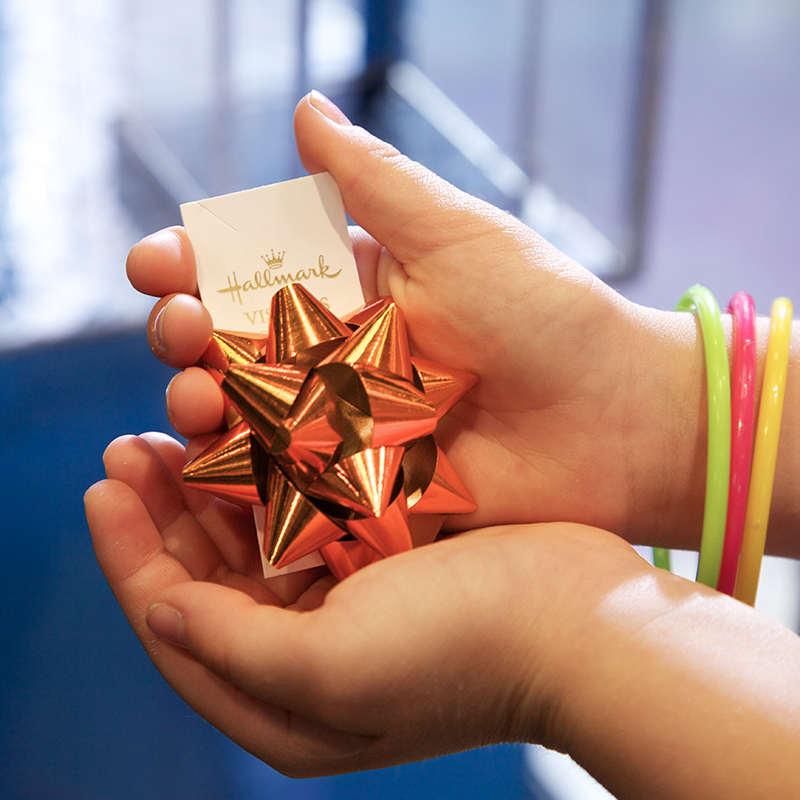 And don’t forget to “wrap up” your visit with a souvenir star bow from our bow machine! Kid-friendly Fritz’s Railroad Restaurant, where your food is served to you from a model train, or the colorful and fun Crayola Café. Check out our While You’re Here page for more local attractions. A look at employment opportunities in areas such as art, photography and writing. A peek into the world of graphic design. A study of a local business and entrepreneur. 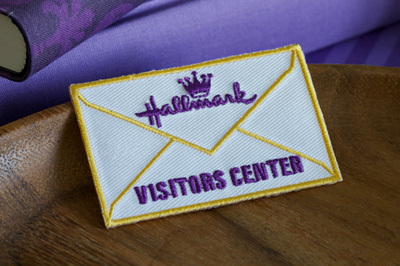 You can earn the Hallmark Visitors Center patch after completing your tour, available at the front desk.